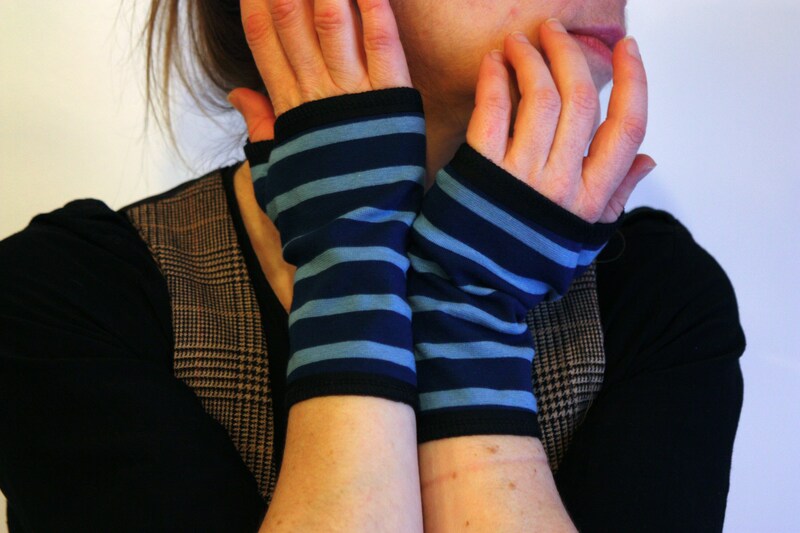 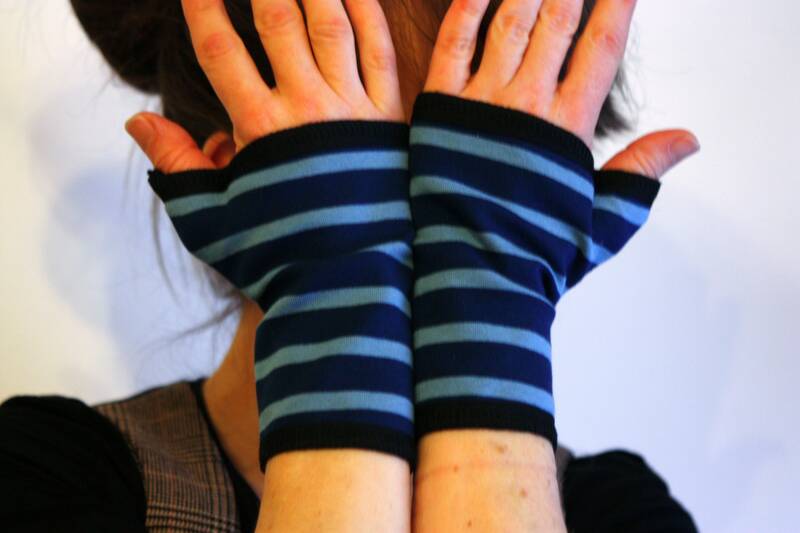 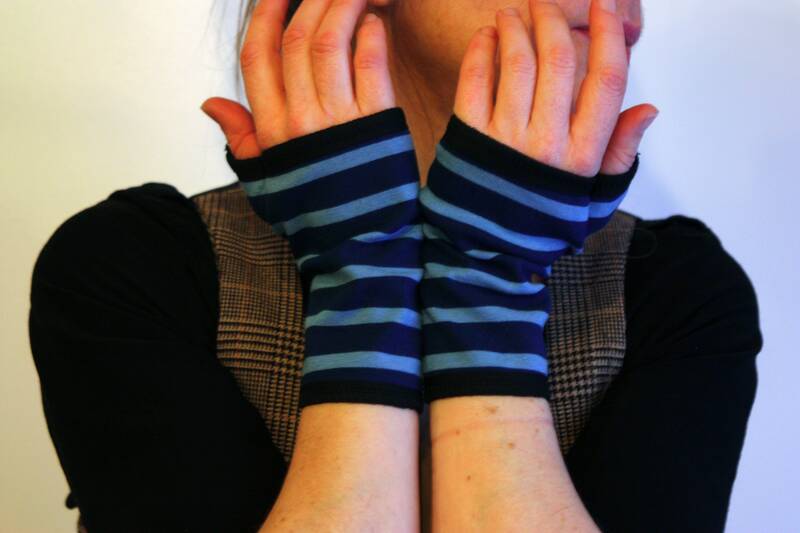 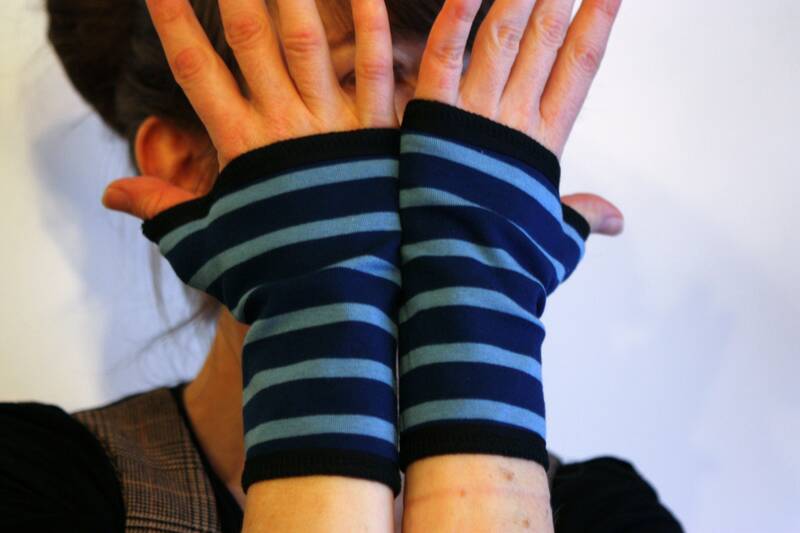 These short glove/cuff are made of a scratch Jersey cotton, "flannel"
Blue striped light blue with good quality, soft and warm. 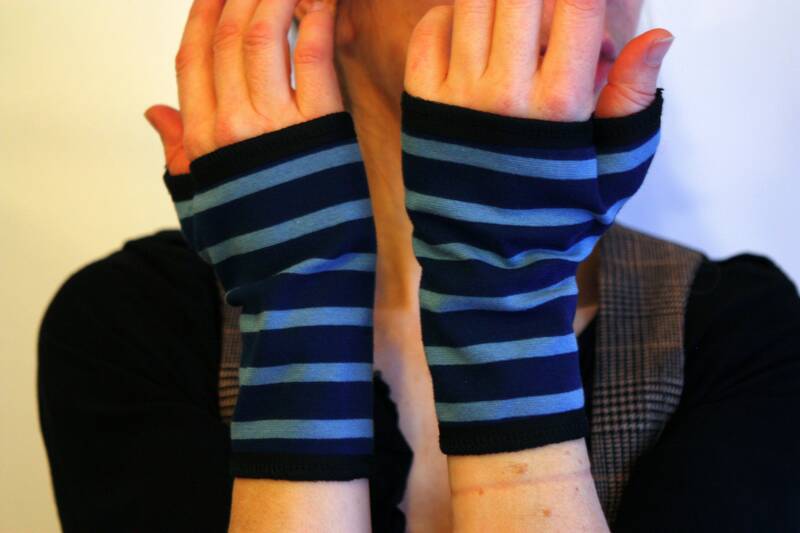 They are very comfortable to wear thin and warm, sporty chic style. 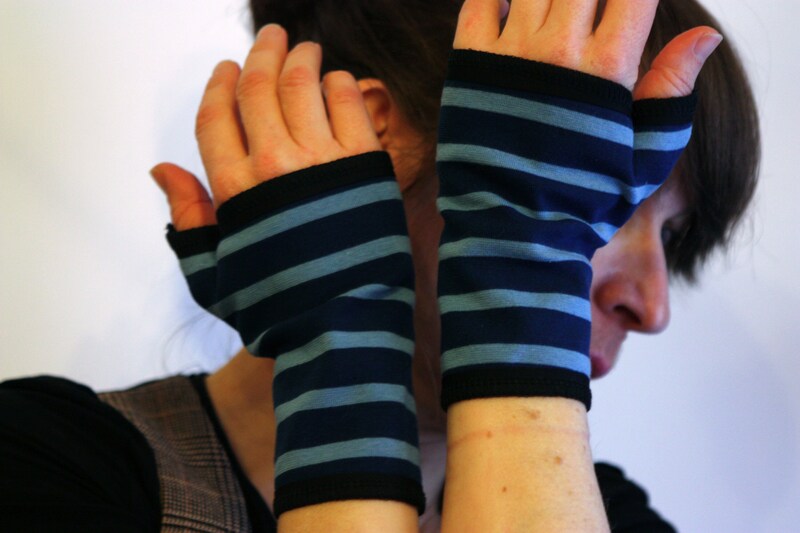 Finished black edge Lycra that follows the elasticity of the mitten.